A successful email marketing campaign is known to deliver incredible outcomes for businesses. It has been estimated that if campaigns are designed and executed effectively, one can see a jump of around 18 times compared to a general broadcast. However, the stigma attached to email campaigns of being marked as spam or junk makes it an unpopular options for many. Still, a majority of the marketer is ready to fight this inbox penetration competition. The large volume of emails sent and received per day, estimated to be over 205 billion. Currently, email is considered as the best channels for all kinds of business communication. The biggest struggle for everyone is to find ways to stand out from the noise. Multiple options like CRM and Tech stacks are being identified to source and convert leads. However, the major concern in these techniques remains lack of pre-defined parameters to evaluate its effectiveness or ROI. Organization across the globe have conducted independent research and tried to identify the parameters of a successful email marketing campaign. We have enlisted the top three steps for marketers to get their emails clicked. Maximum of email marketers recognizes “Dear <Reciepent Name>” as email personalization. However, the rising level of cyber security concerns about identity theft or phishing has got multiple consumers worried about emails from an unknown source. Also, it takes very little knowledge or relation to place someone’s name in the greeting.So, before deciding to send out an email one needs to answer the following questions. a) Do the recipients trust you? b) Do the recipients even know who you are? Once, you find the answers to these questions evaluate the level of personalization suitable. Remember, intimacy is earned not forced.Another major consideration is to make a personalization style meaningful. So, draft a personalized email strategy that is specific to recipient’s needs and history. 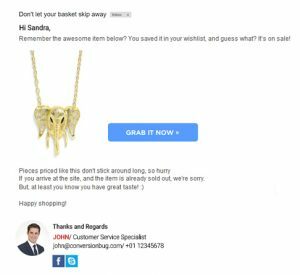 For example, an email campaign for a user to remind about a product on their wishlist with an image attached in the signature. What to put in the subject is a big dilemma for any marketer as half of the battle is won if you have the correct subject line.Organizations have conducted independent research to understand the role of the subject line. a) 33% of email recipients open email based on subject line alone. b) Emails with “You” in the subject line were opened 5% less than those without. c) Subject lines with 30 or fewer characters have an above average open rate. d) Subject lines with 60 to 70 characters is a big no and often referred as “dead zone”.So, the best way to instigate people to open emails is to have a short and exact subject line.For example, Short subjects line was a great success of President Barack Obama’s email fundraising campaign. He saw great engagement with subjects like “Hey”, “Wow” and “Two Simple Words”. The next struggle is to define the best timing for sending out the emails. No generic answer will completely justify as one needs to consider the attributes of the audience. Thursday: If you plan to send two emails in a week then Thursday is the next best day. 10 am- 11 am: While late mornings were considered the best times but researchers have proved that this stands out than the rest. 8 pm- midnight: This is the time which no one expects to be a great time to engage. 2 p.m: This is the last option one can keep as people are less distracted during these hours. The above-enlisted parameters help to reduce the stigma of being marked as spam and execute the campaign in a well gated and planned way. Email marketing is known to nurture and convert leads. With efficient email marketing be rest assured to create a roster of clients and let your bank account smile with you. Zainul works with us as Assistant Manager- Marketing and he ensures that the marketing strategies are devised, discussed and executed on time. He has enormous multi-tasking ability in him with an interest in multiple domains. This enables him to think out of the box marketing solutions for us and our clients. He is a people’s person and thus, when he is not working, he would be found interacting with the colleagues. 5 proven web technologies/tools which would surely increase website engagement!5 Reasons Why Enhanced Ecommerce Analytics Tracking Is A Must For eCommerce Stores? 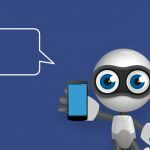 Why chat bot should be next on your agenda?